When I have a photo that needs to be corrected for focus or motion blur, I use the stand-alone version of Focus Magic. 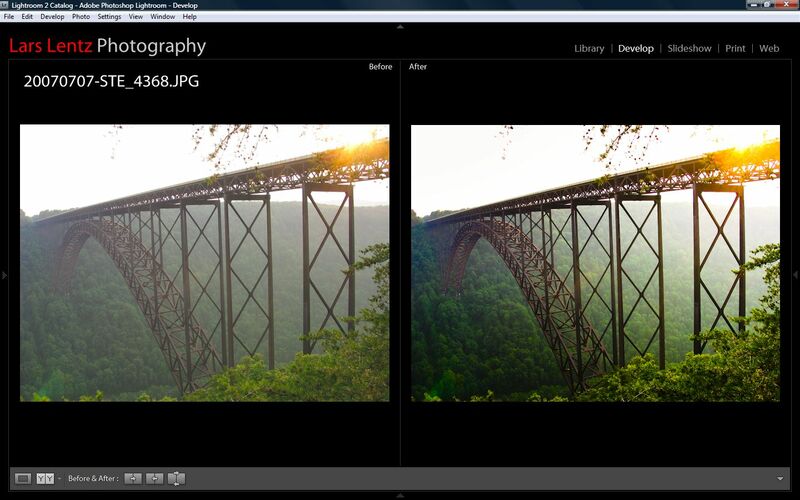 I also use Lightroom first and have integrated Focus Magic into my workflow shown below. Please use it whole or in part as you need. I’m not going to show you each detail, but all the information you need will be in here. The part that is different from my standard Lightroom workflow is shown in bold. Import RAW, convert to DNG, copy each image to a back-up hard drive while importing. Automatically apply copyright notice using special preset during import. Automatically save DNGs to directories sorted by date and add to the folder list. Sort in Library. X (reject) the duds (90% of the duds are blurry or just poor composition). Fix-up each in Develop. Use my special presets. Mark each with a yellow flag when done in the Develop module. I then break out into special processing like HDR or for stock photos if the candidate looks promising. That workflow is different, not included here, and diverges from this point. Back to Library. Add keywords and description (optional). Mark with a green flag when done here. If I’m not going to export the photo right now, then I just leave the flag as yellow. I can sort on green and yellow flags using my smartfolders in the collections section. Export as JPEG at 90% quality to a directory on my hard drive. Use the “open in other application” feature at the end of export, and set this to the Focus Magic exe file. Automatically open Focus Magic with the affected photo. In Focus Magic, make corrections and then save the photo. Go back into Lighroom and find the just-corrected photo. The metadata icon on the photo indicates a problem (marked with a “!”). Click on it. It says that an external program changed the metadata and what do I want to do. You want to “overwrite” not “read from disk.” If you overwrite, you will put your comments, keywords, GPS, descriptions, titles and all of your other metadata back in place on this photo that was fixed in Focus Magic. If you read from disk, you will get the blanked out metadata fields that Focus Magic erases on every photo it fixes. Open my photo site (on smugmug) in my browser and select ‘add files.’ Then, right click on the photo in Library module and select “show in explorer.” Now you have a folder open with that photo selected. Drag it and drop it into your browser’s smugmug ‘add file’ drag and drop interface. The file will upload to smugmug. Focus Magic is a fantastic program. I use the standalone version here. If you want to use the Focus Magic plugin for Photoshop, you can, but it takes extra steps. Thank you for reading what I wrote – I hope you enjoyed it!